Tamil Nadu NEET 2018 rank list has been released on the official website. The counselling process will begin on 1st July. 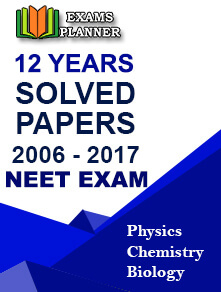 29 June 2018: The Health and Welfare Department, Government of Tamil Nadu has released the Tamil Nadu NEET 2018 rank list on its official website – www.tnhealth.org. Separate merit lists have been released for the Government and Management Quota MBBS/BDS seats. Keerthana K. holds the first rank in the state merit list (12th in the All India merit list) with 676 marks out of 720. Go the official website of TN Health and Family Welfare - www.tnhealth.org. Click on the one you want to check. A Zip file will be downloaded, extract it and open the PDF. Search your name in the merit list. A total of 25,417 students have been included in the NEET 2018 TN state list for the government quota seats while 18,915 students are included for the management quota seats. The first phase of the Tamil Nadu counselling will begin from 1st July and end on 5th July 2018. For admission to TN state quota seats, candidates need to produce the Nativity certificate. However, those who have studied class VI to XII from Tamil Nadu are not required to submit the Nativity Certificate. Candidates who are native of Tamil Nadu but have studied class VI to XII from other states (partly/completely) are required to produce original certificate ascertaining their parents’ nativity. Such certificates can include Birth Certificate/Ration Card/Passport/SSLC/10th/12th/Degree/Diploma/Professional course certificates. Students from other states who have completed their class VI to XII in Tamil Nadu will be treated as Open Category candidates. Candidates who have applied for NEET UG 2018 from another state cannot claim as a Native of Tamil Nadu.